Folks upgrading from June's Catalyst 12.6 package can expect a handful of performance improvements, including up to 25% more frames in TES V: Skyrim, 15% in Total War: Shogun 2, 10% in Dirt 3, 8% in Crysis Warhead, 6% in Crysis 2 and Batman: Arkham City, as well as 3-5% in Just Cause 2, Deus Ex: Human Revolution, and Battlefield 3. The update also fixes more bugs can we can cover, so skim the release notes. 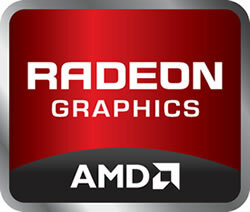 Along with those enhancements, AMD has also responded to the launch of the GeForce GTX 660 Ti with word of a firmware update for the Radeon HD 7950, which is currently in a tight spot between Nvidia's $300 and $400 offerings. Similar to how AMD released the slightly overclocked HD 7970 GHz Edition to address the GTX 680, this week's BIOS update pushes the HD 7950's clock from 800MHz to 850MHz. The update also introduces a "Boost" functionality that can dynamically push the clock to 925MHz.